I am a SCOL Postdoctoral Fellow at the Massachusetts Institute of Technology (MIT) and a Visiting Scholar at Northwestern University (CIERA). I am interested in the evolution of rocky planets, the search for life on other worlds, and the origin of life on Earth. My research focuses on understanding the environmental conditions on early Earth, comparing them to the environmental conditions available on other worlds, and exploring the implications for the origin and endurance of life. I work to understand whether the processes thought to have fueled the origin of life on Earth could have really worked in nature, and if so, whether they could have helped life start on other worlds as well. My work helped motivate the founding project for my PhD research group’s new lab. More recently, I have become interested in the search for life on other worlds, and in the evolution of rocky planet atmospheres and interiors in general. In addition to research, I value outreach and education. I co-advised a Harvard undergraduate on his junior and senior theses. I am a co-founder of the science communication workshop ComSciCon, an author emeritus for the science outreach blog Astrobites, and a peer mentor in my department. I also give public talks, write popular science articles, and assist with science outreach programs in the community. I completed my PhD in Astronomy & Astrophysics at Harvard University, where I was the first student to earn a certificate in Origin of Life studies. 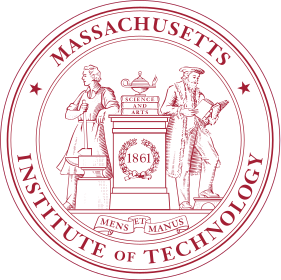 I completed my undergraduate work at MIT, where I majored in physics and minored in astronomy and history. One day, I hope to visit this minor planet.